Our new Sponsorship Scheme offers Individuals and Businesses the opportunity to extend their support to the Orchestra beyond their attendance at our regular concerts. The Orchestra is greatly indebted to the many friends who have shown their support through our previous Friends Scheme, and look forward to your continuing support through this extended scheme. Participants in this scheme will be offered a season ticket for the season’s concerts, a free programme at each concert, and their name listed in the programme as one of our Sponsors (if they wish). 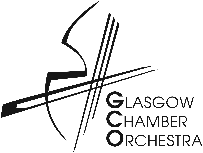 To apply to become an Individual Sponsor of the GCO, please contact the orchestra on sponsorship@gco.org.uk, giving your name and contact details, and we will get back to you directly. The GCO now offers its regular supporters the opportunity to purchase a Season Ticket for the three concerts of each season (winter, spring and summer). This provides a 20% discount on our regular adult and concession ticket prices, as shown below. To purchase your Season Tickets, please email sponsorship@gco.org.uk, with your name and address and state how many tickets you require. We will get back to you to arrange payment and delivery of the tickets.